Today, I was checking out how my readers are finding me, because it seems I have quite a few new followers and I found out that the key word search "Tattle Box" has driven quite a few people to Dalai Mama. I felt maybe I should re-post my Tattle Box post from a few years ago. It just so happens that I had to get the Tattle Box back out not so long ago. So here it goes. Quite some time ago, I created a Tattle Box for my room, which seems to work just great. I don't always have it out, but when the need arises, I get out the Tattle Box and we have a lesson about Tattling vs. Reporting. 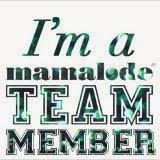 Let me debrief you on this tactic. For a long time I have noticed that the same students seem to tattle on each other all the time. They were usually petty things like "He keeps putting his paper on my desk" or "She's humming too much". 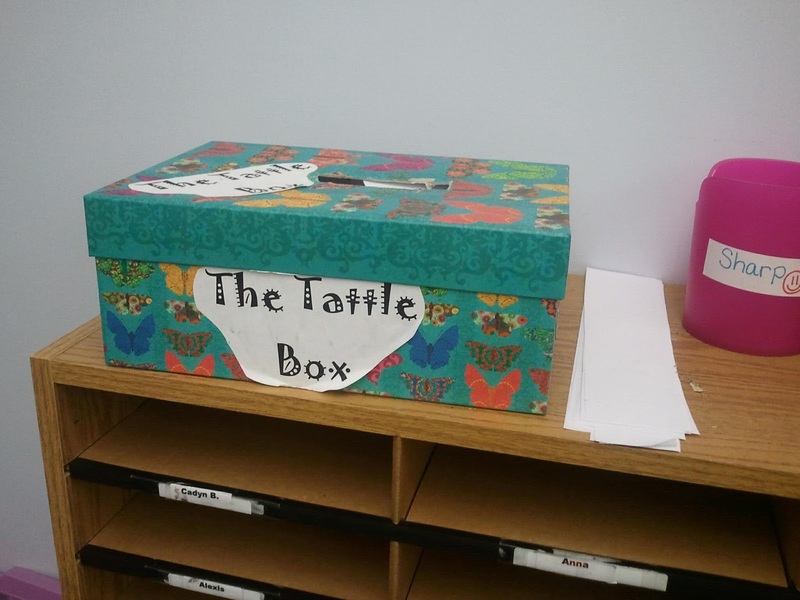 I decorated a fancy shoebox that I had to have the last time I was at TJ Maxx, with a label "THE TATTLE BOX". I explained to the kids that sometimes we aren't telling the teacher about something because someone is hurt or hurting you but just to get someone in trouble. Sometimes, teachers are busy and can't respond to a humming neighbor right away. Or sometimes teachers get tired of you being a know it all and trying to get people in trouble. Well, I didn't really say that last one, but you get the idea. The Tattle Box is for the moments when someone really isn't in immediate danger or hurting anyone else...maybe just being annoying. I cut up pieces of paper and put them next to the Tattle Box. We talked about sometimes at a business they have a comment box and the Tattle Box is kind of like that. I explained that the tattler can not use a person's name because we wouldn't want someone to get embarrassed and they didn't need to write their name on the tattle. This was something that was strictly confidential and I would be the only reading the Tattle. Actually, my words were that if anyone opened the box to read the tattles, they would loose recess for a week. GASP!! Ok, Mrs. T we won't touch it! Someone said I don't like their drawing when I really do. Someone keeps humming real loud. My neighbor keeps talking during writing time when I am trying to do my work. At recess someone kicked me. At PE someone through the ball and it hit me in the face. The last three were great teachable moments. We talked about how things that happen at recess and PE need to be reported to the proper authorities, especially if someone is hurting you. (Let the PE teacher and recess monitors take care of there own tattling problems, I found the solution to mine.) We also talked about bothering other people when we're supposed to be working. We also talked about what is really important to tell someone about. i.e. Does it really matter that much if your neighbor thinks you don't like their drawing when you really do? I absolutely love the Tattle Box! It's my new best friend and I think I might take it out to lunch for accepting so many complaints in so little time. I just have to say that I love my job and my students. Things like the Tattle Box remind me of the innocence of being little, what is important or not and in the grand scheme of things, sometimes if I write it down, I immediately feel better. Case closed.